Add a touch of French country charm and grandeur to your home with the Vintage White Candelabra by UMA Enterprises. This iron candelabra has a traditional silhouette with scrolling arms and a distressed antique white finish. 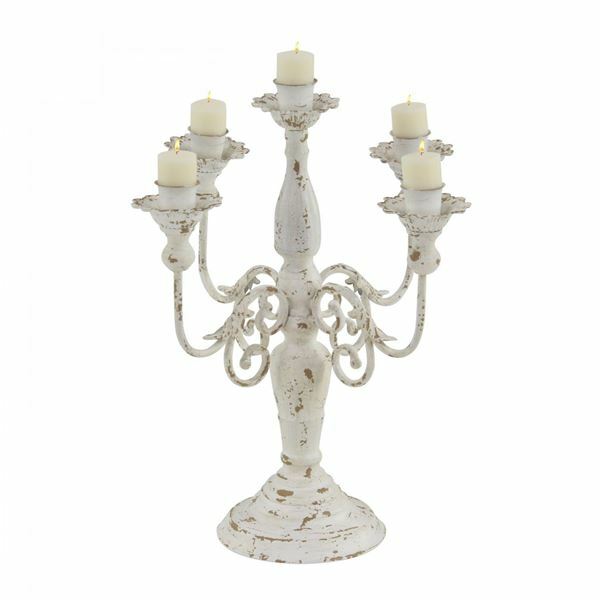 Add a touch of French country charm and grandeur to your home with the Vintage White Candelabra by UMA Enterprises. Vintage White Candelabra by UMA Enterprises. Can hold up to five candles.